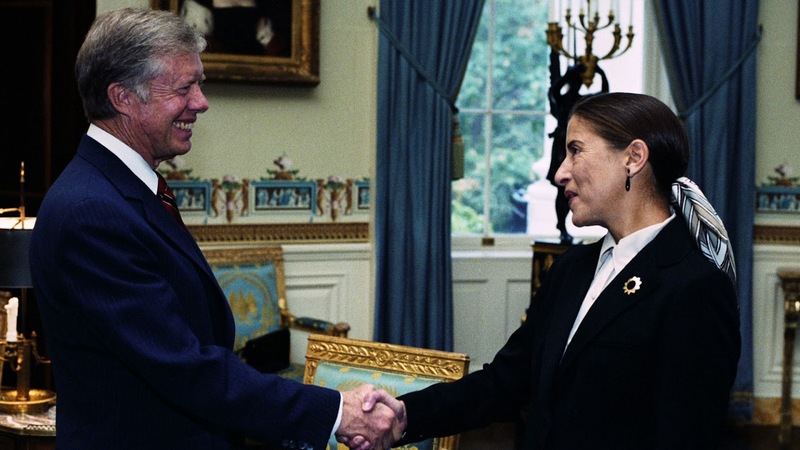 Like many women who went to college in the 1950, Ruth Bader earned her Mrs. Degree when she married Martin Ginsburg – a man who was as outgoing as she was reserved. 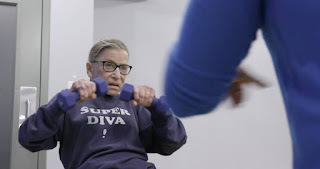 Except, as she tells directors Julie Cohen and Betsy West in the inspiring new biographical documentary RBG, the only difference was, whereas other women suppressed their intelligence to fit in at Cornell, Marty not only cared that she had a brain but without her beloved husband, Supreme Court Justice Ruth Bader Ginsburg might have never become a lawyer. Further inspired to enter the law after watching the McCarthy hearings on TV – Cohen and West's newly released film chronicles their modest subject's meteoric rise from her early days as one of only nine women admitted to Harvard Law School to her now iconic role on the Supreme Court. 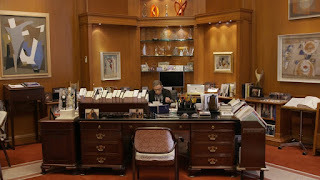 Particularly fascinating in its pre-Justice period, RBG acquaints us with Harvard in an era where the dean asked its female students why they should get to take a man's "spot," before letting us share in Bader Ginsburg's success making the Law Review in her second year, while also caring for not only her toddler but also Marty, who'd been diagnosed with cancer early into their marriage. Finishing her own work and then typing up her husband's while he underwent chemo, we discover that Ruth Bader Ginsburg's legendarily tireless work ethic of staying up until the wee small hours of the morning (and then sleeping all weekend) began in college. And while it has continued to serve her well today, most viewers question how a mere mortal can do what she's done day in and day out for over sixty years! Though mere mortal she may not be. Described as "the closest thing to a superhero that I know," by interviewee Gloria Steinem, the film offers a fascinating to look back at some of the landmark equal rights cases that Bader Ginsburg argued in the 1970s Supreme Court, which not only made her name but also gave us some of the rights that we're fighting to hold onto today. 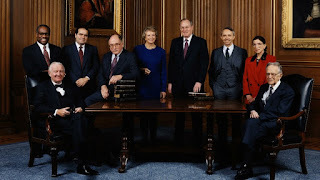 Also documenting Marty's work behind-the-scenes petitioning then President Bill Clinton to name RBG to the court (which he realized he wanted to do within fifteen minutes of meeting her) as well as her relationship with the other justices, and evolving role on the bench from moderate to liberal, RBG provides a terrific overview of a woman that most millennials are likely just getting to know. Clocking in at a brisk ninety-seven minute running time, this energizing work will undoubtedly play better if you're already familiar with a majority of the political figures interviewed or featured throughout. 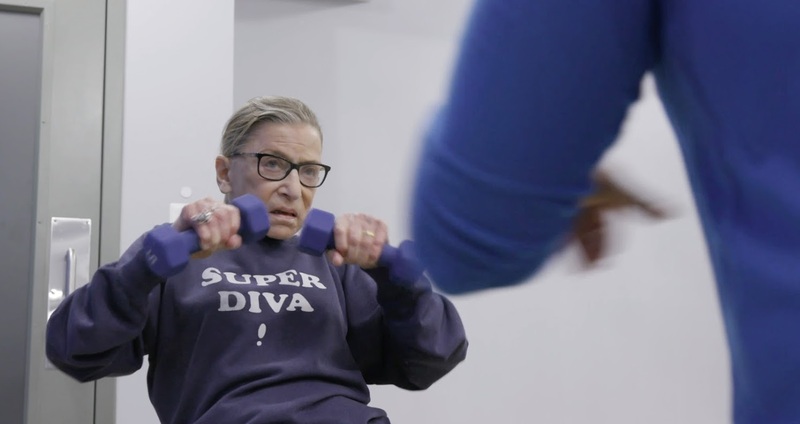 But at the same time Cohen and West work hard to reach new activists and politically engaged young minds by illustrating the important part that not only RBG but any justice has the potential to play in changing the law of our land for better or worse. Rounding out the woman as well as the feature to delightful effect, the filmmakers share her passion for the opera and dedication to her family on display in both rare home movies (the best of which celebrate her relationship with the late Marty) as well as fun interviews with close family and friends. 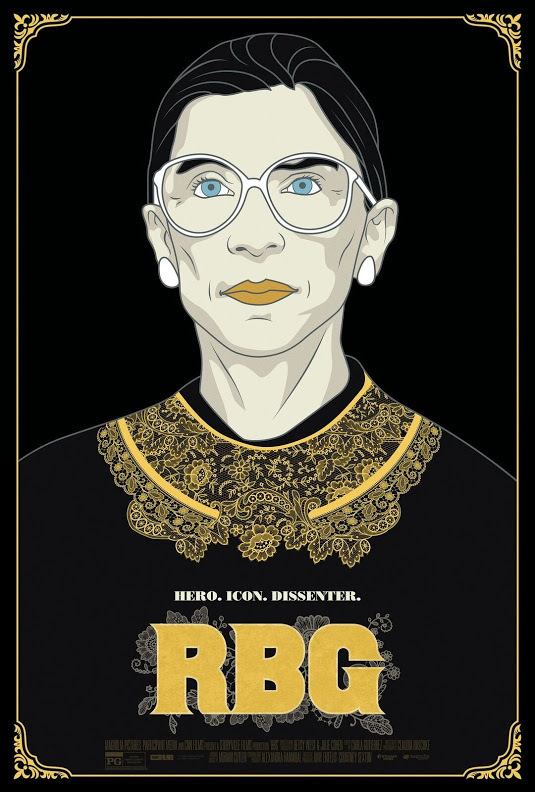 And while even though I'm nerdy enough to have wanted a Ken Burns sized opus that zeroes in on each decade of her life (and especially every one of those ACLU cases she argued), the multiple film festival Audience Award-winning RBG gives us a wonderful opportunity to start rooting for a different kind of superhero this summer.